This development was one of the first of the new high rises in Chicago since the 1980’s. 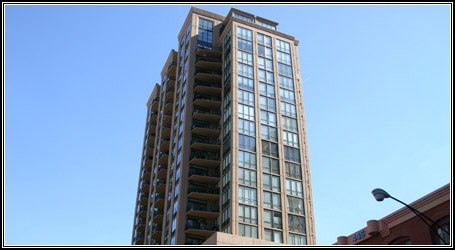 The property reaches up 24 stories with one two and three bedroom condominiums and roof level duplex penthouses. The property is located next to the Erie Centre Lofts and the building share common area amenities such as the doorman, exercise center, and parking.